Learn how to create your own game characters in Blender! 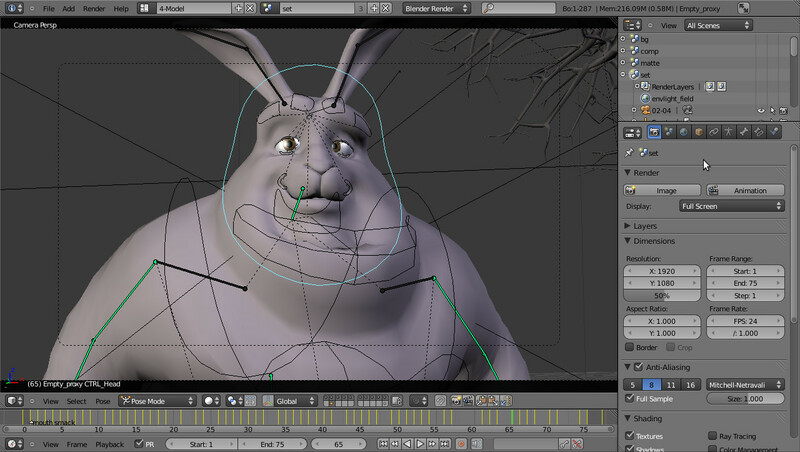 Learn how to model, texture, rig, and animate a character in Blender. Discover how to bring the character into Unity and set-up a character controller to move the character around. Build your skills so that you can create your own game characters in Blender. Create Your Own Game Characters! Learning to create your own game characters opens the door for you to create the incredible video games you've always dreamed of. Blender is free to download and use for any purpose and has proven itself to be a powerful tool for independent and commercial projects all over the world. Blender provides an excellent low-cost way to learn the fundamentals of 3D modeling, texturing, and rendering. Since 1995, it has been growing in features and usage in the animation and visual effects industry. In this course you’ll create a game character from the first polygon in Blender to the final controllable character in the Unity game engine. Throughout the course you’ll learn about Blender’s modeling, texturing, rigging, and animation tools. You’ll learn the techniques and strategies needed to tackle a complex project such as this, so you can bring your own characters to life. In the first section we will create a character using Blender’s sculpting tools. We will model a base mesh using box modeling techniques, and then we will use Blender’s Multiresolution modifier to create high-resolution detail on the character. We will then use Blender’s retopology tools, the Grease Pencil and the BSurfaces tools, to create a low resolution version of our high-resolution sculpt. And we will bake Normal and Ambient Occlusion maps, from the hi-res sculpt to the low-poly mesh. We will then import these texture maps into Unity and test them on our character in-game. We will look at some of the unique issues regarding UV mapping an organic model like a character. We will use Blender’s UV mapping tools to create an organized UV map that can be exported to external paint programs like Photoshop or GIMP for texturing. And we will look at Blender’s Texture Painting tools and how to use them to create texture maps for the character. Then we will use Blender’s Rigify add-on to create a basic rig for our game character. You’ll learn how to prep the character for rigging and generate the base rig. We will then generate the control objects of the rig and go over the various controls and how they can be used during animation. From there we will adjust the weights of the character using Blender’s vertex groups, and parent the character’s war hammer and shield to the rig. You’ll then learn the basics of creating animation cycles for a game character. We’ll use Blender’s Graph Editor and Dope Sheet to animate the Idle and Run animations, as well as create a Jump Pose. Finally, we will take it all into Unity and write some code to get our character running and jumping through a test level.